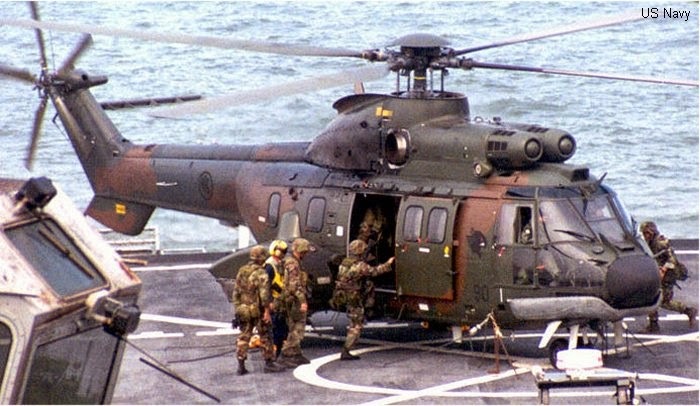 Singapore has announced plans to replace the nation’s 32 Airbus Helicopters AS332/532 Super Puma/Cougar helicopters within the next ten years. Ng made no mention of the number of airframes to be obtained, but it is believed that the number acquired could be substantially lower, perhaps half, of the existing fleet size. As of early 2015, it was not clear if a request for proposals had been issued for the requirement, or which manufacturers would be interested in responding. 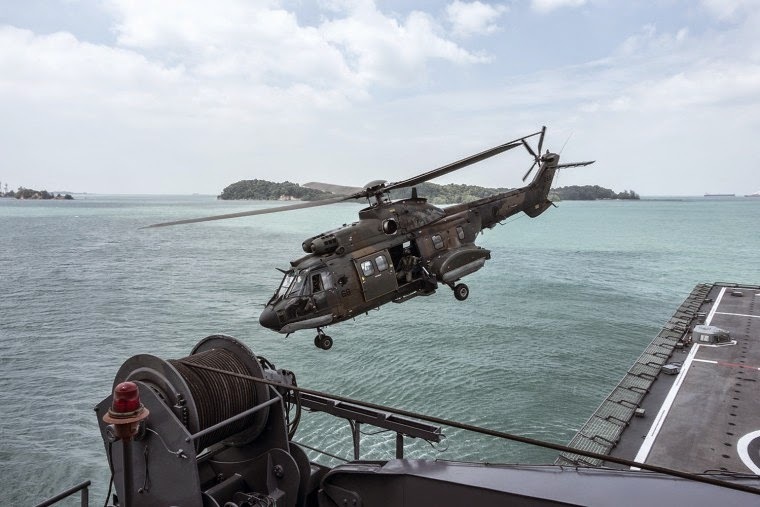 Although Singapore’s Super Pumas and Cougars are very well maintained, industry observers say the ageing airframes probably impose a substantial maintenance burden, particularly given Singapore’s hot, humid climate and high utilisation rates. A newer, more maintenance-friendly aircraft would allow the country to operate fewer airframes. Manufacturers such as Airbus Helicopters, Bell Helicopter, Sikorsky, and AgustaWestland are likely to vie for Super Puma replacement contract. At the 2014 Singapore air show, Boeing and Bell demonstrated the V-22 Osprey tilt-rotor aircraft, but it is not clear if Singapore is would need such a significant step change to its rotorcraft capabilities. Ng made no mention of the country’s plans to obtain the Lockheed Martin F-35 Lightning II, or an upgrade programme for the country’s fleet of 60 F-16 C/D Block 52 fighters. The latter are to receive new active electronically scanned array (AESA) radars and upgraded avionics. In January 2014, the US Defense Security Cooperation Agency (DSCA) issued details about Singapore’s F-16 upgrade programme. The proposed package is worth $2.4 billion, and includes 70 active AESA radars, an avionics upgrade, and a small number of guided weapons for testing and integration purposes. Lockheed and Northrop are believed to be the parties tapped to upgrade the aircraft, with Lockheed conducting the avionics work and Northrop supplying its Scalable Agile Beam Radar (SABR). The upgrade programme could possibly involve local MRO firm ST Aerospace, which has been involved in upgrading Singapore air force assets in the past.